Home Tags Posts tagged with "betfair"
Hidden cameras captured the moment when footballing royalty turned up to hand out a master-class in ‘the beautiful game’. The former international stars staged the prank with the help of bookmakers Betfair ahead of the start of this year’s World Cup, due to kick off in Russia on Thursday 14th June. The prank was setup after a number of local teams responded to cryptic DIY posters created by the legends. The mysterious poster gave little information apart from a number of outrageous claims including; the team were ‘proper class’ and had scored ‘100s of goals scored all over the world’. After an influx of amateur teams looking for a game, the former international players picked out a team to stage the prank on. A team of lads turned up for the game, only to be greeted by an unfit, overweight, middle-aged squad of 50 year olds. With a coin-toss between the captains complete, the older team showed they had confidence and the guts by making a shrewd bet, the men took to the field to play however, ten minutes into the game the older chaps were in dire assistance of a break. Showing their smarts from the earlier bet, the unfit 50-year old goalkeeper hailed over the superstar substitutes. The international sensations descended on to the pitch and delivered world-class silky skills, showboating with expert tackles, exceptional goals and infamous signature celebrations. The dream team left the field with minutes to spare to allow the middle-aged team to take all of the glory. Stephen Mault, Brand Director at Betfair said: “The country is in fever pitch ahead of the World Cup and we wanted to bring the magic of the game to a local five-a-side team who got the chance of a lifetime to play with football royalty. 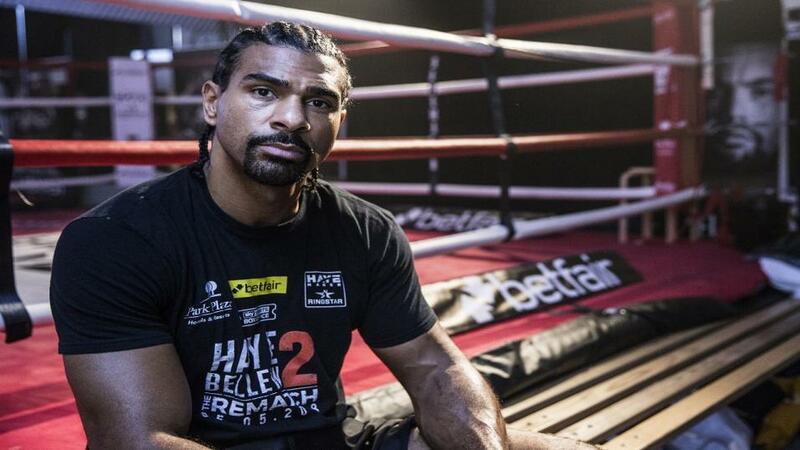 New Betfair Ambassador David Haye says he needs an ‘explosive’ victory over Tony Bellew in their rematch on Saturday night to prove to the boxing world that he is back to his best. Haye also insists that he is in prime condition for the bout this time around after admitting to being sloppy in the first fight. Haye’s new partnership with Betfair continues our association with the boxer and Hayemaker Boxing Promotions which we also sponsor. As part of the two-year deal, Haye will be writing a regular exclusive column here on Betting.Betfair.